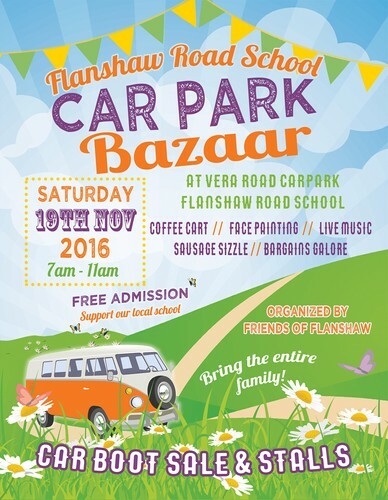 Car Park Bazaar loads of stalls onsite - bric-a-brac, baby gear, baking, crafts. Free face painting for the kids, Coffee cart, Sausage sizzle, Cookie Time Cookies! Live music, and lots of fun to be had. We'd love to see you there!